With Mandolin Musical 4010554 - NEW! 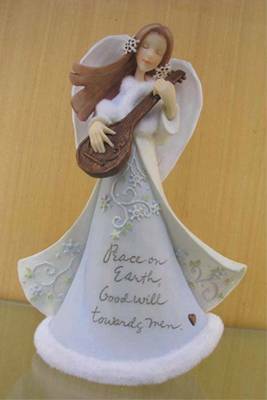 Message: "Peace On Earth, Good Will Towards Men". Forgiveness and acceptance are cornerstones of a virtuous way of life. The Foundations Beatitudes collection offers gifts that not only celebrate the revered Beatitudes, conveying messages of mercy and love, but also become treasured keepsakes.